Have students try these activities to expand their knowledge and interest in Martin Luther King, Jr. In MLK Jr., students learn about the growth of the civil rights movement. Americans became more concerned with the promotion of equality and fairness; they became repulsed by many of the forms of racial intolerance that were historically commonplace in the United States. Many of these egalitarian concerns are still important to people today. And the fight for civil rights continues, at least for some groups. Have your students each write a letter “back in time.” Students can pretend to be writing to their parents or grandparents, or they can pretend to be writing to an important figure or politician like Martin Luther King Jr. or President Kennedy. Invite students to think about how the state of society today is related to the way things were back in the 1950s or ’60s. Have things changed? How? If not, why not? Should early civil rights activists have done things differently? If yes, what, and how? Have students share their letters with the class. 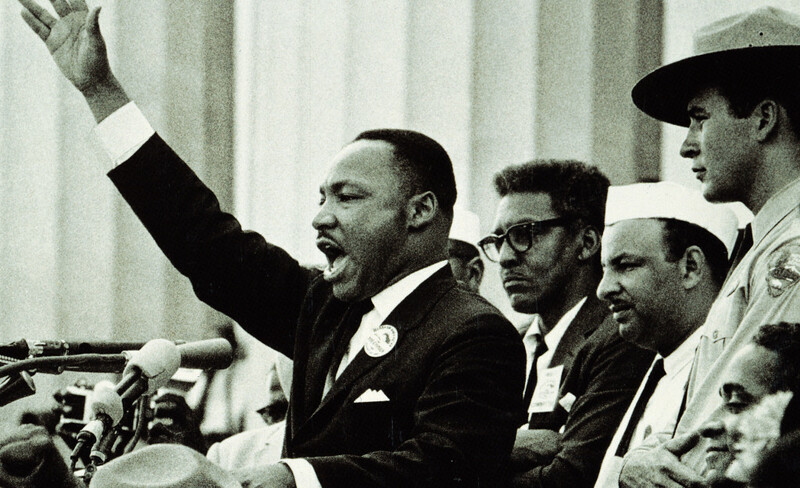 Dr. King was interested in nonviolent means to achieve his goals. He believed in using positive words and ideas and nonviolent action. In school, King studied about the life of Mohandas Gandhi who had used peaceful means to free India from British rule. King used many of Gandhi’s techniques in his fight for civil rights. Have students do research on Gandhi. They should write a short report on what Gandhi accomplished, how he achieved his goals, what his life was like, and what it was like to live in India when he was fighting for social justice. In the topic Who Was Martin Luther King Jr.?, you’ll find a map of the Deep South. As a class, make a list on the board of the states in the south, north, east, and west. Make sure all the states are included. Have students work in groups. Each group should make a map of one of the four areas. The maps should include the state names, the capitals, and any major topographical features. Martin Luther King, Jr.’s, birthday, January 15, is a national holiday. Have students write an essay giving details on why they think that a national holiday exists in King’s honor. Students might include some information on what criteria they think should be used to decide who might be celebrated with a national holiday. King wrote: “I have a dream that my four little children will one day live in a nation where they will not be judged by the color of their skin but by the content of their character. I have a dream today!” Have students write a short speech that begins: “I have a dream…” Students should first jot down various ideas about their dream and show it to you for approval. Once the idea has been approved, students should try to be as persuasive as possible so that others see the importance of their dream.